In The Descendants, it was a tradition of the King family to go camping on their ancestors' land. In this feature, we will explore some cool places and interesting new ways to camp with your family, including the best time of year to go camping, what to bring, and fun activities to do on site. If you’re a beginning camper, you probably want to start by finding an organized campground within driving distance. Campgrounds can be either public (usually run by a government agency, like national forests) or private (usually run by individuals or businesses, like campground resorts or RV parks). 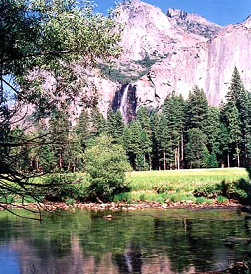 Public campgrounds will likely offer you the most options and are usually set up by the government to preserve the area, so you should research those near you. You will also want to make sure that the campsites you are looking into offer the amenities that you need. Think about whether or not you will require things like a shower, bathrooms, and areas for cooking and cleaning your dishes. Also, consider what kinds of activities you might want to engage in before booking your campsite. Will you want to play water sports or swim? Do you like to hike? Look for sites that will be able to accommodate your needs, and remember to book ahead because popular campsites can fill up many months in advance. Though people typically assume that the summer is the best time to go camping, the spring might actually be your best option! Though the summer boasts warmer nights and less hectic schedules for families with children, the spring often has less busy campgrounds (which means you have a great selection to choose from, more privacy, and usually less expensive reservations), similar temperatures to summer (though perhaps not as scorching during mid-day), and less pesky summer bugs like mosquitoes! In most regions, camping in the spring offers you the same things that you love about summer, but without the added burden of camping during peak season. Knowing what to bring on your camping trip really depends on where you’re going, what time of year you’re planning on camping, and what activities you want to do while you’re there. 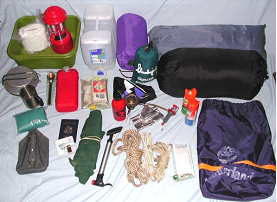 In general, there are some basic things that every camper will need. Unless you are camping in an RV, you will need a tent so that you will be adequately protected from the sun, wind, rain, bugs, etc. Tents also provide you with privacy from other campers and give you a place to store your clothes and other necessities away from the elements. You will also need a sleeping bag, a pillow, and a pad. Remember that you are, essentially, sleeping outside on the ground, so you will want something that will make you as comfortable as possible and provide you with enough warmth for whatever region you’re camping in (in some places temperature will drop drastically at night, even in the summer). Additionally, don’t forget to bring plenty of water (you may not be near a water source), food and cooking supplies. Some campsites have grills, but if yours doesn’t you might want to bring something like a propane stove for cooking, and all the necessary accouterments (pots and pans, utensils, spatulas, charcoal, etc.). Also, remember to bring basics like a first aid kit, any medications you may need, extra clothes, etc. Before packing, make sure you have planned your trip out thoroughly and make yourself a checklist of everything you will need. For some people, the mere act of leaving the city and setting up camp to relax in the wilderness is enough. If you’re not one of these people, there are still plenty of things you can do while camping to keep yourself (or your kids) entertained. Depending on your locale, you can do things that are unique to your locale. If you’re camping in a mountainous region, try going for a hike, or doing a photo scavenger hunt for animals and plant life native to that region. If you’re camping near a lake or another body of water, you could take a leisurely swim, fish (if the area permits it), or try canoeing, sailing, jet skiing, etc. Some campsites also have areas for sports, like baseball fields, basketball courts, etc. Check in advance to see if your campsite has these things, and then make sure that you bring the necessary equipment to play! You can also bring desks of cards or small board games and play with your group around the fire after a long day of hiking or swimming. Another fun (and practical) activity is to have a picnic. Get your whole group involved in setting up a table, getting a fire started, and cooking. Finish the meal off with some good old-fashioned s’mores around the campfire! Where to purchase: You are able to purchase from Amazon and local retailers starting March 13, 2012 for $19.99. You are also able to pre-order on Amazon .